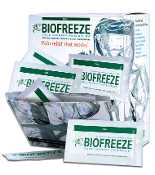 Topical pain relief creams and gels, sometimes called analgesics, offer pain relief for sore aching muscles. 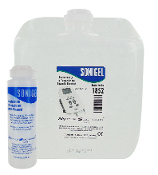 These analgesics are available in various forms such as gel, spray mist or creams. Conductive Gels and Sprays are applied to carbon rubber electrodes and fabric conductive garment electrodes as a conductive medium. The entire conductive surface of the electrode must be covered;otherwise, exposed carbon surfaces without gel will not conduct properly and may irritate the skin. Skin Preps are applied to the skin before applying electrodes, allowing for better adhesion of the electrodes. Lotions and Creams are essential to keeping skin soft and supple. Relieve the pain of dry, cracked, chapped skin.